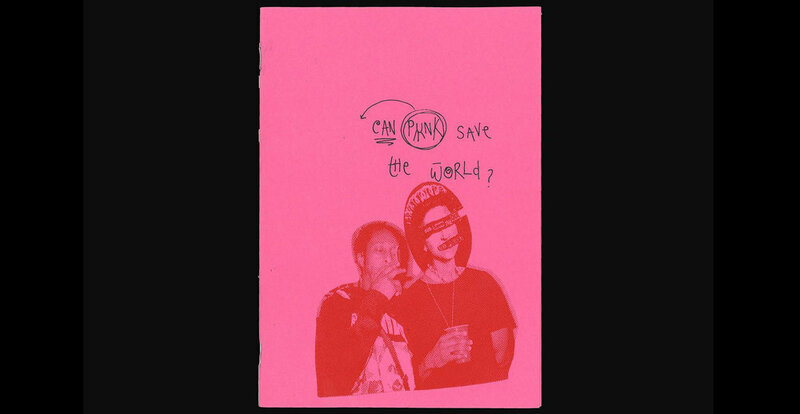 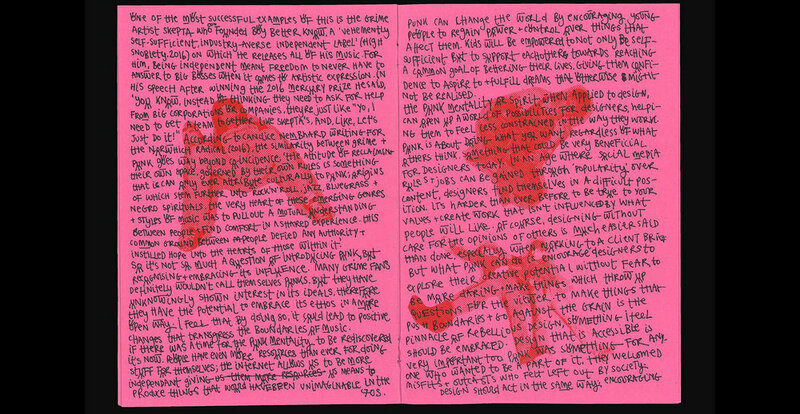 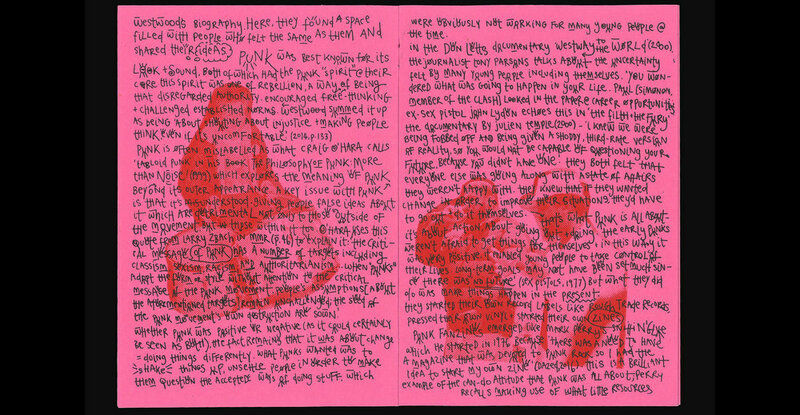 Can Punk Save the World/Punk Can Save the World is a hand screenprinted zine exploring the role of the Punk movement in enabling youths to create positive change through direct action. 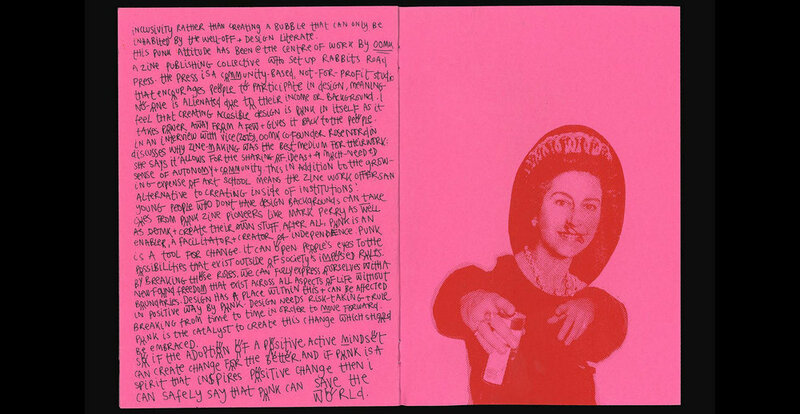 At its core, Punk is about ‘doing it yourself', allowing people to take control of their lives. 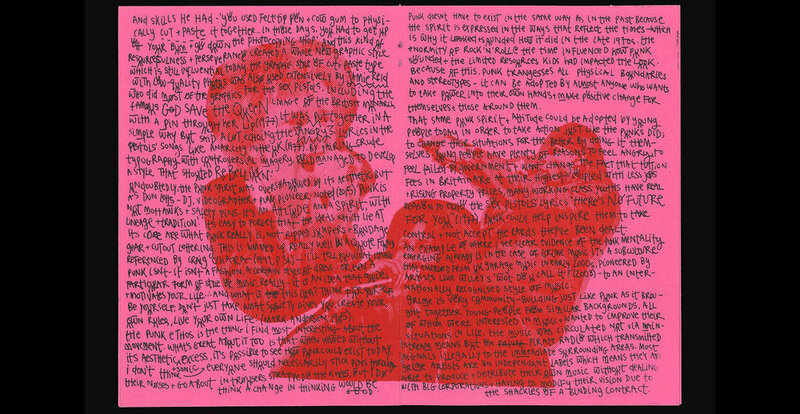 Many parallels can be drawn between Punk in the ‘70s and modern-day movements like Grime which both share similar core values, something which is explored in the zine.